Our annual Aronov Lecture will be held tomorrow night at 7pm in Lloyd Hall room 38. 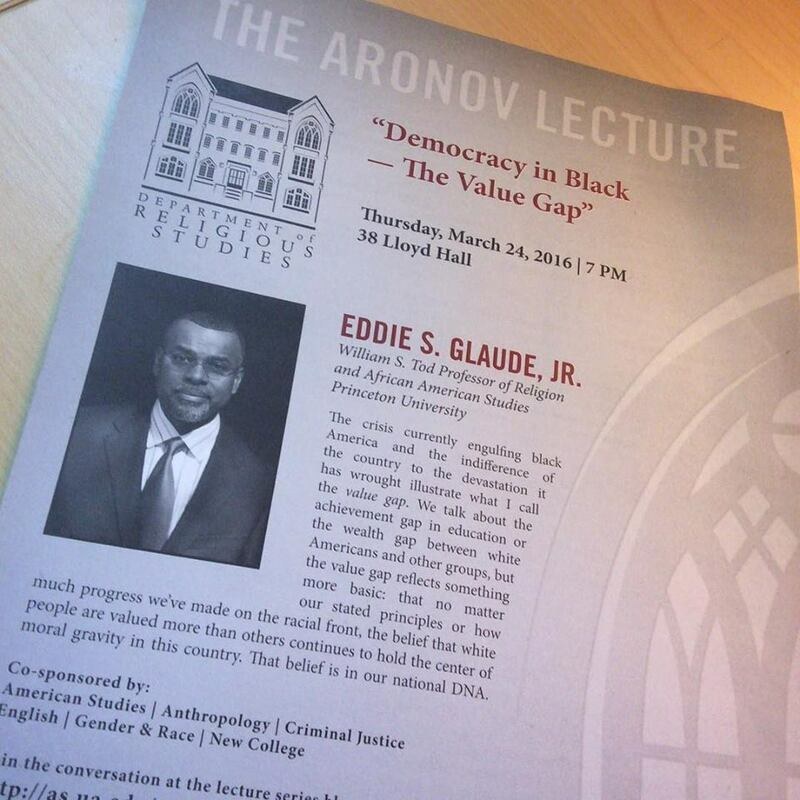 We are very pleased to welcome Eddie S. Glaude from Princeton University. His lecture is titled “Democracy in Black — The Value Gap.” You can find out more about Prof. Glaude’s work in this recent Salon interview about his newest book, Democracy in Black: How Race Still Enslaves the American Soul. And be sure to follow the conversation, comments, questions, and live-tweeting of the Aronov lecture on our Facebook page and on Twitter at #Aronov2016.